Good morning, dear friends! The weather is getting warmer and warmer and it feels like spring is in the air! Today we are cooking a classic mexican dish as I had promised you in my previous post about guacamole. 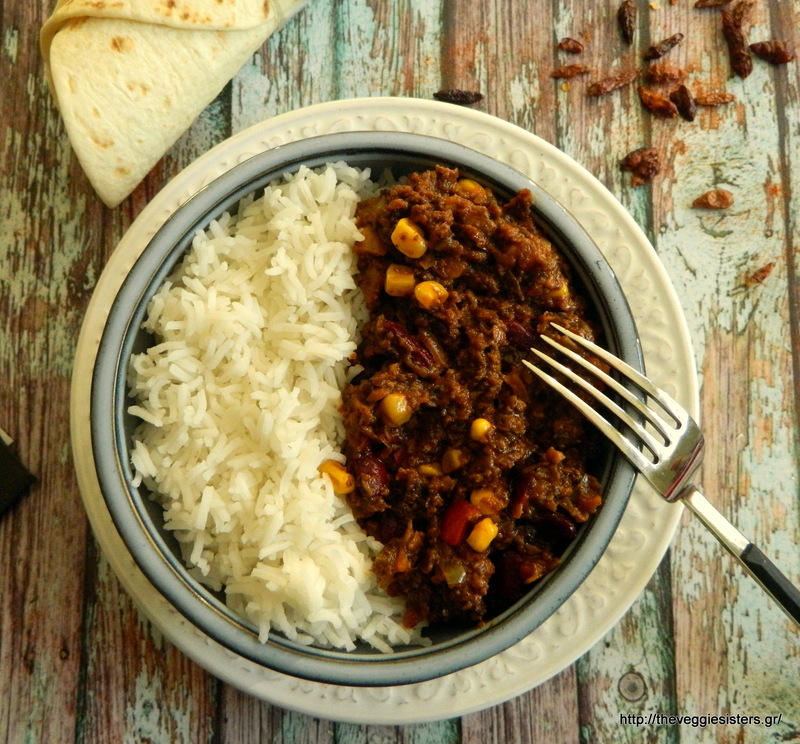 It is a veganized version of chili con carne! A spicy dish, easy to make filling and yummy! Depending on how tolerant your taste buds are you can adjust the spices to taste. Mushrooms have taken the place of meat. 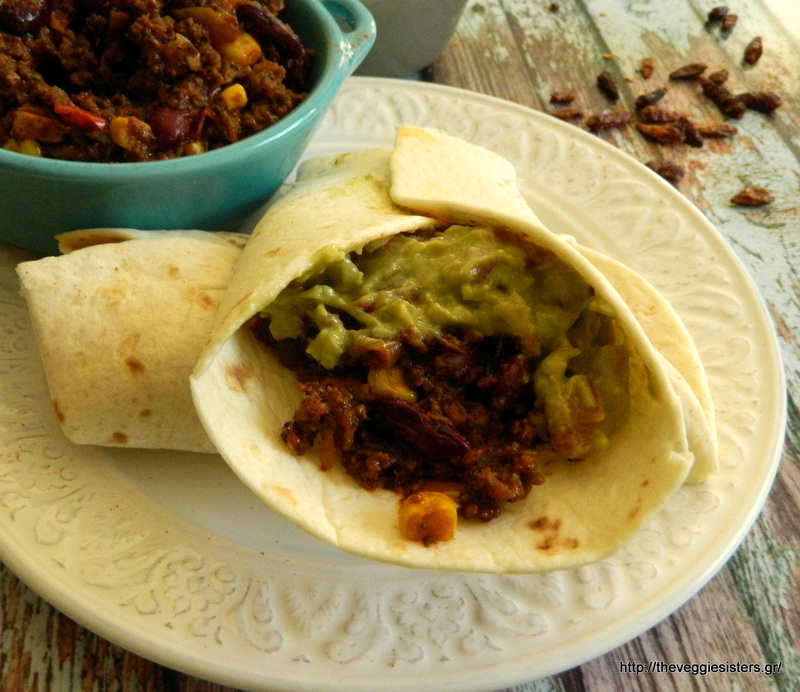 Accompanied by rice or stuffed in tortillas it is perfect! As long as you have guacamole to quench the spicy result! Happy weekend everyone! In a cup combine all the spices and cocoa powder. Remove the black gills on the underside of the mushroom cap by scraping with the edge of a spoon and place them in a blender. Pulse until ground. In a big pan saute onion, garlic and peppers and then add soy sauce and the spice mix. Add mushrooms, tomato and water. Allow to cook. When there is no liquid, add corn and beans. Check how spicy it is and adjust to taste. Enjoy! 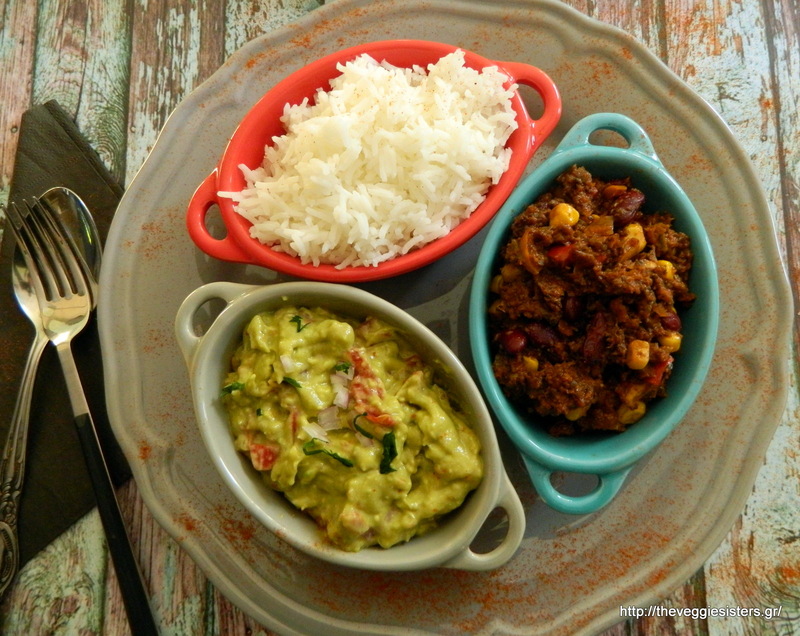 Share the post "Vegan chili con carne"